Origin Logistics in Turkey have launched their fourth office in the country in Ankara, the capital city and one of the biggest industry cities within the region. 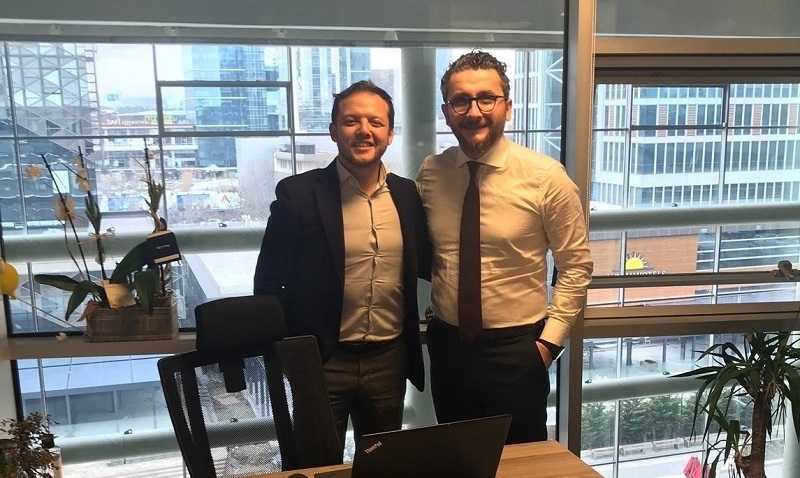 The Ankara office will be run by Branch Manager, Gencay Türkmen Kuru, photographed (left) with Yuksel Kahraman, Origin Logistics Managing Director. It will offer the same level of excellent services as the other Origin Logistics offices (in Istanbul, Izmir and Mersin), specialising in project & multimodal cargo as well as sea, air, land & transit transportation. Operation Manager at Origin Logistics, Metin Elmas comments; “One of the main purposes in launching the new office is the potential of the industries as the hinterland of Ankara is wider with access to nearly to all the main seaports in Turkey. In that regard, to be more competitive and to grow the portion of our business in Ankara as well as provide the local touch to our firm customers, we opened the Ankara branch. Branch Manager, Gencay Türkmen Kuru: “Ankara has 5% percent of the commercial activities of the whole country and our team has the right experience and expertise to fulfil the potential with a speciality in machinery, construction and the food industry. We have already carried out a lot of varied projects in a very short time.